If you’re looking for a serious skin transformation, a series of Dermal planning Skin peels from O Cosmedics are the answer. These scientifically proven Skin peels contain the most potent, the purest combination of medical grade ingredients while remaining paraben, petrochemical, preservative and SLS-free. For further information on any of these treatments, book a free consultation with us today! An XCell medical-strength peel is a scientific-based treatment that, when properly administered, offers one of the most powerful non-surgical skin improvements available. XCell peels are especially beneficial in the treatment of hyperpigmentation, rosacea, acne, sun damage and photo ageing. To enhance these peels we combine them with a range of peels selected from Advanced skin technologies, carrying a selection of the world’s top brands of cosmetic peels and skincare. Consultations are essential before booking a treatment to ensure we choose the right treatment for your skin type. It is strongly recommended to use a Vitamin A serum at least 2 weeks prior to starting any of these treatments to obtain best results. This is an intensive treatment combining the benefits of a 20% Chirally Correct Peel and Vitamin A Peel together with Microdermabrasion. 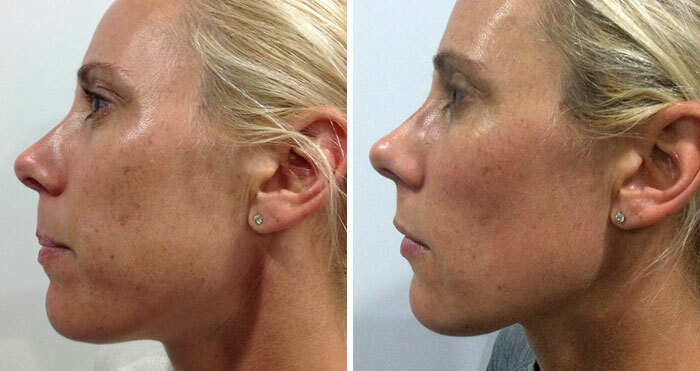 Treatment includes an Enzyme Peel with Sonophoresis one week later. A patch test is required at least 24 hours prior to the treatment. Treatment includes an Enzyme Peel with Sonophoresis one week later. This package incorporates the 20% Chirally Correct Peel and Vitamin A Peel together with the E-Dermastamp or Dermapen to deliver absolutely incredible results. The Deesse mask is used after treatment to aid in a quicker recovery time. Treatment includes an Enzyme Peel with Sonophoresis one week later. Our Deesse mask will also be used post peel at our discretion to enhance the peels effectiveness with some peels. Consult with us to determine which peel is best for you.